The IdentityIQ Protect Plus Plan is a one bureau powerhouse featuring data from 1 major credit reporting agency with daily credit file monitoring, monthly credit report and score, and score tracker. Plus insurance and support services! 1 Bureau Credit Report & Score Receive unlimited, online access to your 1 bureau credit report and score in an easy-to-read format. IdentityIQ allows you to refresh your report once every 30 days. Checking Account Report An excellent complement to our suite of credit products, the Checking Account Report allows you to see if any of your checking accounts have been reported to the Chex System for unpaid fees, overdrawn accounts, suspected fraud, or any other reason. 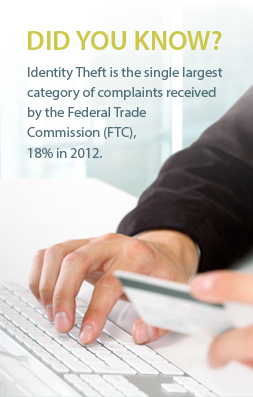 A flagged account can be a strong indication of fraudulent activity.